This week was a lot of firsts for me, and the Growing Up Texas blog. My head is still spinning over all of the amazing support I’ve received from friends, family and creatives alike. 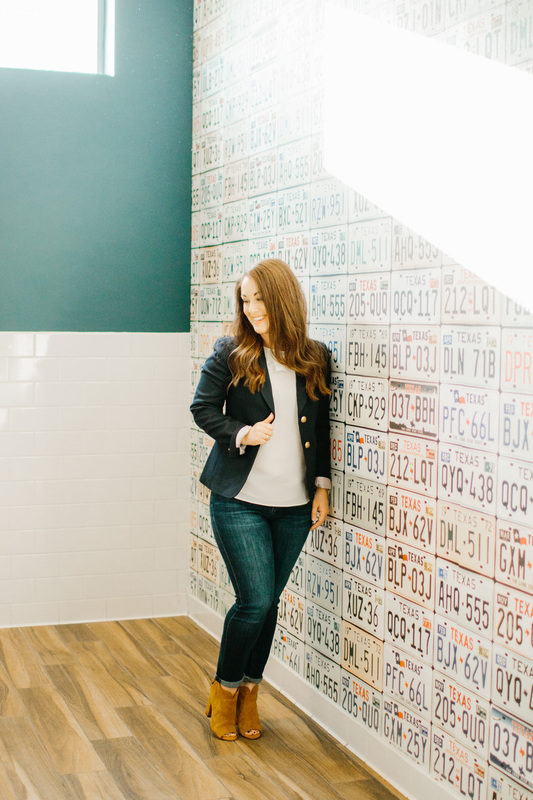 A big item on my list of never ending “to-dos” this week was to hire a professional photographer and get some updated photos that I could use throughout the blog that really showed my personality and style. Two years ago, I met Shelby Tsika at a creatives networking group call Tuesday’s Together organized by the Rising Tide Society. 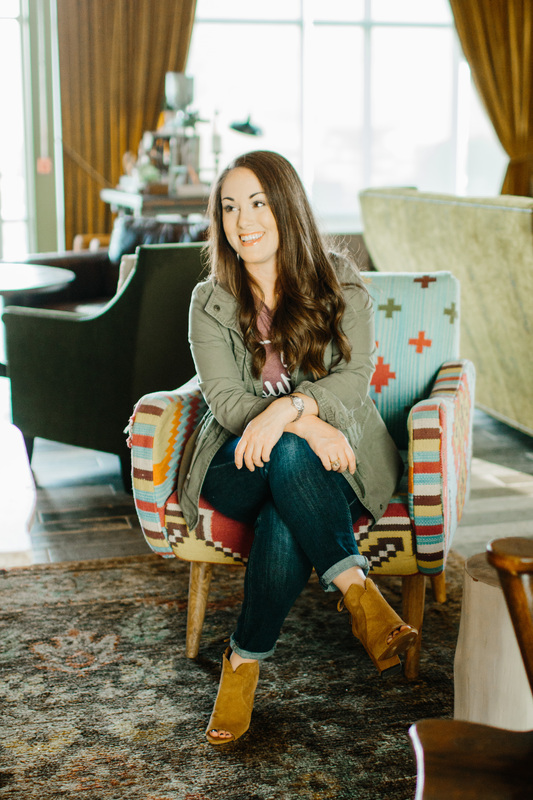 I follow Shelby on Instagram and Facebook and knew if I ever got my blogging act together she would be on the top of my list of people to call for help! And that I did, I emailed Shelby and we met up yesterday for my first blog photo shoot. That sounds so glamorous as I say it out loud, but inside I was a ball of nerves… like the did someone turn the heat up to a thousand degrees, sweating through your shirt kind of nervous. Shelby was a pro though and calmed my nerves right away. And suddenly it was just us in our creative space and I completely forgot that there were a dozen people or so staring at me as we started our photo session. It truly was a fearless moment for me, it put me out of my comfort zone, but in the end it empowered me to keep moving forward. After the shoot I thought about my takeaways and lessons learned so I could share them with you. I’ve captured them below and included a few sneak peaks from the photo shoot. Let’s just say I’ll be pushing the refresh button on my email a lot this week! Do Your Homework: Ok that sounds scary… who wants to do homework? What I mean is research your photographer and make sure that your creative styles match. One of the reasons I chose Shelby was because of her style. I tend to like photos that are bright with lots of light, in natural settings. It was also important for me to find someone who had experience working with Bloggers, so she understood my creative space and was very familiar with my blog and style, this helped during our photo shoot. Bonus: If you have an opportunity to meet you photographer in a social setting before your first shoot that would be ideal. 2. What’s in Your Closet? : Keep the wardrobe simple, pick clothing that you wear on a daily bases and don’t go and break the bank. I chose pieces that I felt best represented my style, no crazy patterns that would be out of style next week. I stayed fairly neutral knowing that I would be using my photos for a long period of time for my lifestyle blog. 3. Location Location Location: Talk with your photographer about your location. I loved that Shelby was open to trying something new and essentially taking pictures in a bar (well an upscale bar that is). I really liked the feeling of the Stella Hotel and Hershel’s Bar because it has a modern twist on Texas with a southwest flare. 4. Invite a Friend: One thing I wish I had done was invite one of my gal pals to help me with my outfits and manage my “stuff.” I came in with multiple outfits and a tote the size of Texas with the fear of not having everything we needed for the shoot. Which was great, but that meant either Shelby or I had to lug this mess around as we changed locations. Tip: talk with your photographer first before inviting your entourage. You might want to chose someone who wont get in the way of the photographers creative process but instead will lend support and help you manage your glam bag. Stunning! So proud of you for stepping outside your comfort zone. Totally worth it!